Regarded for its high level of technological innovation, IPITEK excels at creative custom solutions for cutting-edge product development in fiber optic broadband technology, advanced sensor applications, and defense/aerospace R&D. IPITEK manufactures all of its products in high technology, opto-electronics manufacturing and test facilities, utilizing strict quality processes certified by ISO 9001. 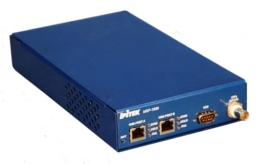 IPITEK delivers the most cost-effective and compact optical Ethernet platforms in the industry. IPITEK's advanced MEF 9 and 14 certified platforms provide a high efficiency method for access, aggregation, and broadband transport of all types of enterprise services; and are optimized for wireless backhaul. IPITEK's advanced digital video transport products provide high performance, cost effective solutions for streaming of multiple types of video, HDTV, and collateral signals. IPITEK 1550 nm supertrunks carry analog and digital signals from the Regional Headend to multiple hubs over long distances. Operating from hubs, the new high performance 1310 nm transmitters provide the same level of quality over shorter distances directly to the nodes. Today's broadband networks rely on high performance monitoring and control to provide accurate, reliable operation. IPITEK meets these network challenges with a sophisticated, reliable systems that provide seamless, integrated operation in multiple types of operating systems. 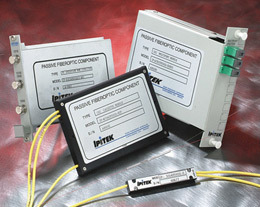 IPITEK develops and manufactures a diverse line of advanced optical temperature sensors. Our products include fiber optic contact temperature sensors, optical pyrometers, and quartz-based, ultra-high resolution sensors. 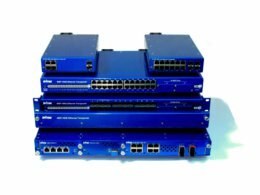 IPITEK integrates a wide range of timing and synchronization technologies into its products: IEEE1588v2, Synchronous Ethernet, Adaptive Timing, Local Timing Oscillators, Loop and Line Timing. 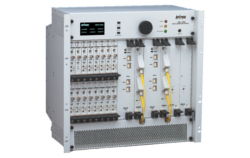 IPITEK's Optical Networking solutions for Video Transport and Carrier-Grade Ethernet are now integrating OTN technology as specified in ITU-T G.872 (architecture) and G.709 its (frame format and payload mappings). IPITEK offers complete, feature-rich end-to-end solutions. With over 29 years of experience in fiber-optic transmission, IPITEK can provide all the design and implementation expertise that the customer needs to ensure the best system design. To facilitate this, our active & passive modules & subsystems encompass the elements that make up a full optical transmission system. IPITEK supports a number of custom products, contact the factory for pricing and availability.